How Do I Get on Corporate Boards of Directors? One of the questions women executives ask me most often regarding their careers is, “How do I get on a corporate board?” Until recently, the answer was not encouraging. The number of Fortune 500 board seats held by women has been stuck for years at only 16.6% (that’s 913 out of 5,488 board seats). Half of the public companies in California have no women directors on their boards. But seven current global factors have converged to significantly improve their chances. And beyond the Fortune 500, Bloomberg says there are 15,000 publicly held corporations in the U.S. That means about 150,000 board seats. If women held only 30%, that could mean 45,000 seats. 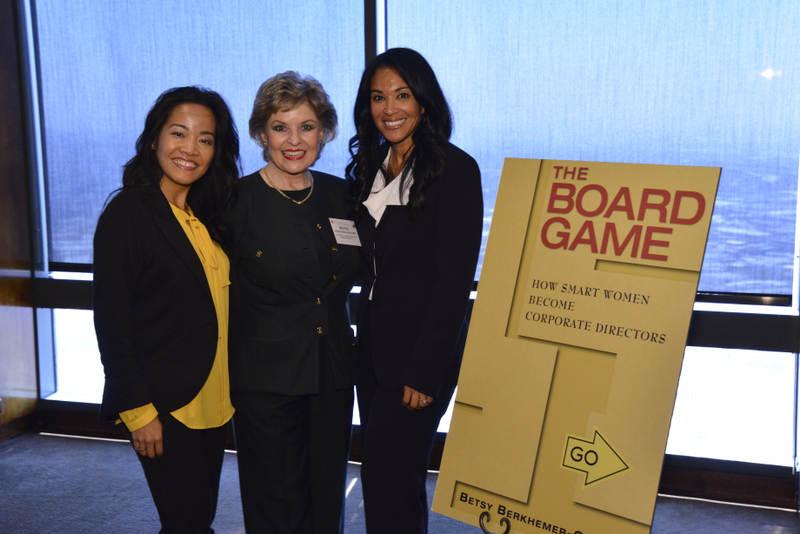 As co-owner of Berkhemer Clayton retained executive search in Los Angeles, I wrote the book called, The Board Game: How Smart Women Become Corporate Directors. I believe women have a better chance now than ever before because of government-mandated quotas in Europe, new research demonstrating the business case for women on boards, greater need for IT and HR expertise on boards, and institutional investors and shareholders demanding better corporate performance. I interviewed 58 current women directors to determine how they made it. Three necessary steps emerged: building strategic networks; gaining visibility in their industry, and getting prior board experience–which can include serving with distinction on the boards of major nonprofit organizations. Rewards include annual compensation, stock grants, career recognition, and becoming one of the people who make decisions that influence how companies are managed and how they affect the world economy. Risks include potential liability and reputation harm if a company has bad news. But all the women directors agreed that the rewards outweigh the risks. Career pathways that current women directors have followed include Public Service and Law, Finance, Investment Banking, Engineering and Science, Academia and Entrepreneurial enterprises. 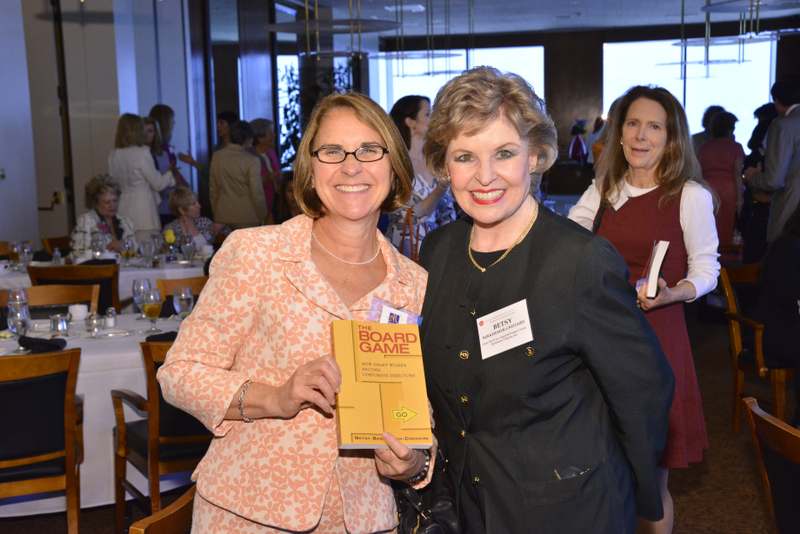 I know many women on corporate boards through my search work for 20 years, and by serving as volunteer chair for the Los Angeles/Orange County Chapter of Women Corporate Directors. To learn more, visit www.WinningTheBoardGame.com or watch my interview on Bloomberg at www.facebook.com/WinningTheBoardGame. Kathlina Lai from Sempra Energy (left), Betsy Berkhemer-Credaire (center) and Denita Wolloughby, Southern California Gas Company Regional Vice President of External Affairs celebrate the launch of Betsy’s new book.